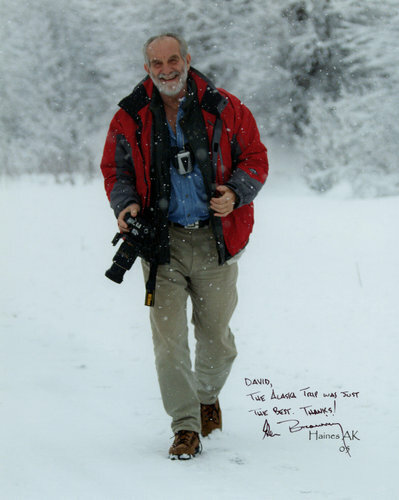 Biologist, conservationist, writer, publisher, and lecturer, David Hancock has spent most of his life studying west coast and arctic wildlife. He has published scientific and popular papers on whales, seals, seabirds, grouse, and his specialty, the northern raptors. Prior to starting Hancock House Publishers, David was a pilot and wildlife film producer and produced films on these subjects as well as the Haida and other northern Native cultures. His books include The Bald Eagles of Alaska, BC and Washington, Rocky Mountain Wildlife, and The Tlingit:Their Art & Culture, Story of Eagle. David received worldwide acclaim given to the Live Bald Eagle Video Cam which he pioneered streaming on the Internet. His current study on The Urban Bald Eagle of Vancouver BC has turned up over 360 nesting pairs in the greater Vancouver area. David Hancock is an enthusiastic and dynamic lecturer and has a fine collection of slides to illustrate a number of themes. His studies and travels have taken him to all continents of the world, and he frequently addresses conservation societies on the conservation and creation of better bald eagle habitat, the turacos of the world, the grouse of the world, arctic adventures and an African photo safari — just a few of his pet topics. David's favorite power point presentations are on the "Success and Challenges for Bald Eagles", various conservation issues or the role of Live Wildlife CAMs in Science and Education. As a publisher/writer/photographer for over 60 years he is also called upon to lecture on the publishing industry, getting published, non-fiction writing, and photojournalism.